My sister Ashlie has been managing the Kuzak’s Closet Pinterest account for the last year and as always, it’s been fun to work with her! We’ve collaborated so many times over the years with fun series like Sister Sister Sunday and Hot or Not?! and with her Pinterest passion she has decided to launch a new series on her own called 7 Minutes, 7 Pins. She juggles a lot with a full time teaching job, twin 9 year old girls, and Michigan winters so it’s been fun for her set the stopwatch and see what inspires her in seven minutes on Pinterest each week. If you are familiar with the site you know it can be a rabbit hole and if you aren’t familiar you need to sign up and follow along! The Kuzak’s Closet Pinterest page is geared towards beautiful home decor, organized homes, and trick and tips for meal planning and home organization for busy families! This cocktail looks so refreshing. My husband and I enjoy a good Moscow Mule and I love the idea of adding fresh basil and strawberries. Yum! I want to cook in this kitchen! 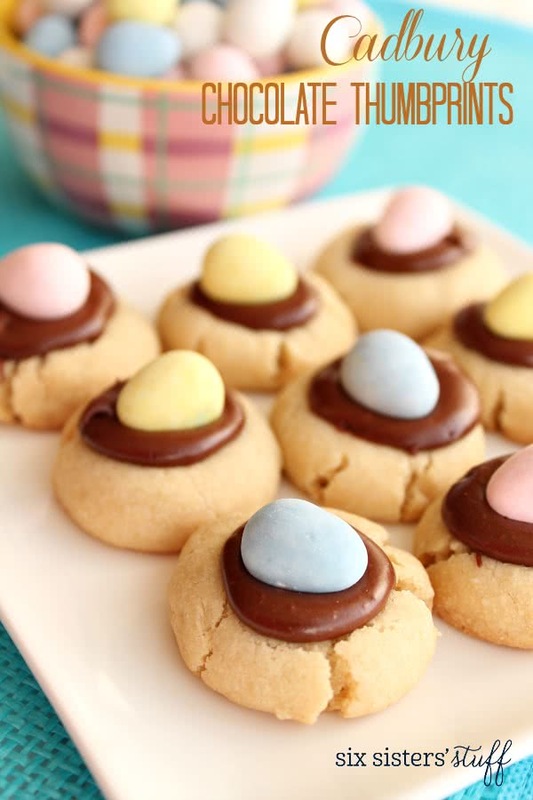 I love those mini Cadbury eggs that are everywhere right now and these cookies may help full my addiction. Yum! The mirror in this small entryway is gorgeous! I love the simple colors and decor. What a great first impression! This linen closet organization project makes me swoon! Labels = Perfection! Make this dip now. Trust me–it’s delicious and simple. I recently took it to a party and it was gobbled up quickly. You’re welcome! Anyone else ready for summer! I love this planting combination! So pretty! Thanks for following along and I’ll be back regularly with a new addition of 7 Minutes, 7 Pins! Remember Kuzak’s Closet to follow us on Pinterest! Loved the new series, Ashlie. Will be checking in to see it regularly. Thanks Sutzi! It is a fun series! Can’t wait to be back with more!